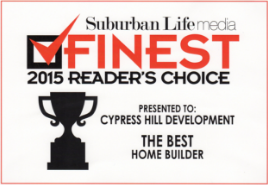 For over 15 years, Cypress Hill Development has been the premier custom home builder in Westmont. 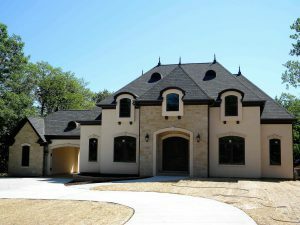 Our reputation comes from building custom homes of the highest quality and providing exceptional customer service. Our goal is to build your new home in a way that reflects you, your lifestyle, and your tastes. We take great joy in building custom homes and providing reliable and trusted service. When it comes to building homes, we have never been satisfied with the cookie cutter, mass produced homes. We strive to create a unique home that’s personal to you and will stand apart from the other homes in your neighborhood. If you are looking for a custom home builder in Westmont or if you have any questions about our services and process, give us a call today at 630-241-9330. You can also reach us by filling out the contact us form located on this page and one of our helpful associates will get back to you as soon as possible. As a custom home builder in Westmont, we work with you every step of the way to ensure that your vision for your new home is accomplished. This also helps keep you informed about the building process. 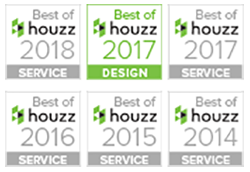 We want and value your input and our experts work closely with you on creating floor plans, architectural styles, finishing selections, and the other parts of your home that make it truly unique and personal. When it comes to building your custom home in Westmont, we work with a team of architects, suppliers, subcontractors, and other business partners to help the process go as seamlessly as possible. Our industry expertise and experience is comprised of construction management and corporate finance and this helps us get you the best value on your investment. For more information on our custom home building services in Westmont, call us today at 630-241-9330. Or fill out the contact form on this page and we will respond shortly.